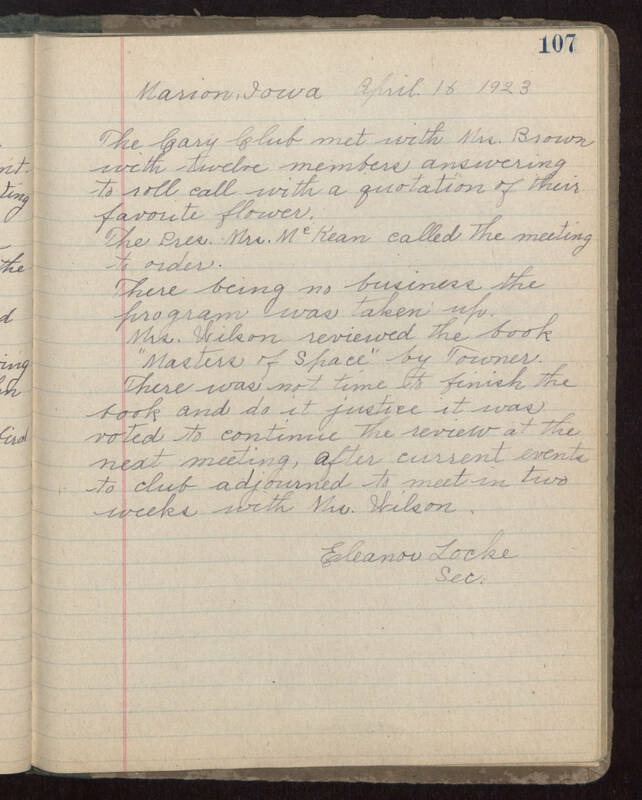 Marion, Iowa April 18 1923 The Cary Club met with Mrs. Brown with twelve members answering to roll call with a quotation of their favorite flower. The Pres. Mrs. McKean called the meeting to order. There being no business the program was taken [up?]. Mrs Wilson reviews the book "Masters of Space" by Towner. There was not time to finnish the book and do it justice it was noted to continue the review at the next meeting. After current events to club adjourned to meet in two weeks with Mrs. Wilson. Eleanor Locke Sec.